Dr. Xu is a Full Professor in Beijing Normal University-Hong Kong Baptist University United International College (UIC), Zhuhai Scholar Distinguished Professor, Associate Director of UIC Key Lab -Laboratory for Health Promotion Mechanism of Medicinal Food and Folk Remedy, author of over 100 peer-reviewed papers. Dr. Xu received Ph.D in Chungnam National Universi-ty, South Korea. He conducted postdoctoral research work in North Dakota State University, Purdue University, and Gerald P. Murphy Cancer Foundation during 2005-2009. Dr. Xu is serv-ing as Associate Editor-in-Chief of Food Science and Human Wellness, an Editorial Board mem-ber of several international journals. Dr. Tenore graduated in 1999 at the Department of Pharmacy, University "Federico II" of Naples. He received in 2003 the PhD degree in “Pharmacologically Active Natural Substances”. He has been Research Assistant in Organic Chemistry, from 01/05/2003 to 30/04/2005. From March 1st, 2009, he is PhD Researcher and Assistant Professor of Food Chemistry and Toxicology. From January 1st, 2017, he is Associate Professor of Food Chemistry and Scientific Responsible of the laboratories NutraPharmaLabs® of the same Department. Professor of Plant Biology and Pathology at the Department of Agricultural and Environmental Sciences, Faculty of Agricultural and Food Sciences, Milan State University. He has been studying bioactive phytochemicals relevant for human nutrition and health, including melatonin, polyphenols, carotenoids, sterols and essential oils, focusing on their functional role in planta, as well as on their in vitro/in vivo and in human biological activities. Furthermore, he has been investigating the effects of elicitors on plant secondary metabolism, as an approach to obtain phytochemical-enriched plant foods and medicinal herbs. Author of more than 130 publications (H-index: 32). Founding Member of the Italian Society of Environmental Medicine. Dr. David Alan Winkler did BSc in Chemistry and Chemical Engineering and BSc (Hons I, Chemistry) from Monash University in1972 and 1975, respectively. Later in 1980, he obtained his PhD degree from Monash University. Since 2017, he is a visiting professor at Nottingham University and Professor at Latrobe Institute for Molecular Science. Dr. Winkler has numerous publications and honors to his credit. Dr. Talal Ahmad Aburjai, B.Sc., M.Sc., Ph.D. (Pharmacy), is Vice President and Dean of Faculty of Pharmacy at Middle East University, Amman, Jordan. He is also Professor of Phytochemistry and Natural Products Analysis and Quality Control in the Department of Pharmaceutical Sciences (Faculty of Pharmacy) at The University of Jordan, Amman, Jordan. His areas of specialization involve GMP, QA and QC of Drugs, Pharmaceutical Analysis, Ethno pharmacology, Phytochemistry, Pharmacognosy and Natural Product Analysis, Pharmacological Activities and Toxicity of Medicinal Plants, Biosynthesis and Biotransformation Studies on Plant Cell and Tissue Cultures, etc. Dr. Aburjai, as an author/co-author, has published more than 60 articles in various journals, having over 1,370 total citations. Dr. Antonio Barbieri, having a Master’s degree in Biology, is currently a Research Associate at National Cancer Institute G. Pascale Foundation (Animal Core Facility), Naples, Italy. He is an expert in natural compound efficacy in cancer treatment, and his main research interests include “in vivo” studies, statistical analysis, mouse model of cancer, orthotopic model, xenopatient, humanized, natural compounds, biodistribution with radiolabeled peptide, and pharmacological studies. Dr. Barbieri, as an author/co-author, has published more than 55 articles in various journals, having over 905 total citations. Prof. Dr. Hassan Y. Aboul-Enein completed Ph.D. in Medicinal Chemistry in 1971 from the University of Mississippi, USA. He has published more than 90 reviews and wrote more than 52 book chapters. His research interest includes, Pharmaceutical and biomedical analysis of drugs in bulk, pharmaceutical formulations and biological fluids, Chiral chromatography, Synthesis of biological active agents and Construction and development of sensors and biosensors and immunosensors for pharmaceutical, biomedical and clinical analysis. Pasquale Crupi is a Research Scientist at CREA-VE, Council for Agricultural Research and Economics - Viticulture and Enology, Italy. His research is mainly focused on chemical characterization of metabolites in food matrices. From 2007 to 2013 he was member of Italian delegation to the International Organisation of Vine and Wine (OIV). From 2006 he is a Lecturer for many post-graduate courses. He is the author of more than 100 publications. Dr. Crupi was educated at University of Bari. He received a Ph.D. in biotechnologies of food products in 2008 at University of Foggia. Professor (Associate) Dr. Amir Reza Jassbi got his PhD in phytochemistry in 2000 at HEJ Research Institute for Chemical and Biological Sciences, Karachi University, Pakistan. “Japan Society for the Promotion of Sciences” (JSPS) Post doctoral fellow at Hokkaido University, Japan (2000-2002), Faculty member at Shahid Beheshti University, Tehran. For about four years (2004-2008), Alexander von Humboldt fellow and as a MPI senior researcher. Dr. Jassbi is now leading the natural products group of Medicinal and Natural Products Chemistry Research Center of Shiraz University of Medical Sciences, Shiraz, Iran. His research is now isolation and structure elucidation of bioactive (anticancer, antidiabetic and antimicrobial) natural products from Iranian medicinal plants, marine algae, sponges and bacteria. Dr. Syed Ghulam Musharraf is working as a full Professor at the H.E.J. Research Institute of Chemistry, International Center for Chemical and Biological Sciences. He completed his post doctoral studies from Austria and United State of America in 2005 and 2007, respectively in the field of mass spectrometry. He is the author of over 100 research publications in internationally peer revived journals including US patent. University. Currently he is working on the utilization of modern mass spectrometric tools and method development for the high-throughput analysis of natural products and chemical fingerprinting of medicinally important plants and also metabolomic and proteomic biomarker search particularly in cancer. Dr. Parthiban, currently Professor and Head of the Dept. of Chemistry, Centre for Research & Development, PRIST University, India. He did Postdoctoral Research at IIT-M, India and Pukyong National University, Korea. He then served as a Brain Korea Research Professor at Inje University and PNU Korea. He has more than 70 publications in his credit, h index is 16. He organized National and International level events and extend his service to various Scientific Events and Scientific Publishers at various capacities. His research interest lie in the fields of Heterocyclic chemistry, Medicinal chemistry, Chromatography, Spectroscopy, and Electrochemistry. Dr. S. K. Jain is currently working as an Assistant Professor in the department of Pharmacognosy; IPS Academy College of Pharmacy, Indore MP India affiliated to RGPV technical University Bhopal MP India. He holds PhD degree in Pharmacognosy and Phytochemistry from School of Pharmacy, Devi Ahilya Vishwavidyalaya, Indore in year of 2017. He has published more than 50 research paper in various national and international journals. He has attended more than 18 national and international seminar and conferences and presented poster and paper. He has supervised more than 25 undergraduate and 1 postgraduate students. Dr. Zainul Amiruddin Zakaria obtained his Doctor of Philosophy degree (2006) in Pharmacology from Universiti Putra Malaysia, Serdang, Malaysia. Dr. Zakaria is currently Associate Professor in the Department of Biomedical Science (Faculty of Medicine and Health Science) at Universiti Putra Malaysia. His skills and expertise mainly lie in the subject area of Natural product drug discovery (Pharmacological studies of plant- and animal-based crude extracts, Mechanism of action of various pharmacological effects, Isolation and identification of bioactive compounds with beneficial pharmacological activities, and Toxicology studies of crude extracts and pure drugs). Dr. Zakaria, as an author/co-author, has published more than 160 articles in various journals, having over 2,045 total citations. Prof. Dr. Eyup Bagci obtained his Ph.D. degree in 1998 from Biology Department, Graduate School of Natural And Applied Science, Firat University, Elazığ, Turkey. Prof. Bagci is currently working in the Department of Biology (Faculty of Science) at Firat University. His skills and expertise mainly lie in the subject areas of Molecular Biology, Medicinal and Pharmaceutical Chemistry, Natural Product Chemistry, Antioxidants, Botany, Neuroprotection, Medicinal Plants, and Gas Chromatography. Prof. Bagci, as an author/co-author, has published more than 120 articles in various journals, having total number of citations of over 535. PhD in Pharmaceutical Sciences, Master in Chemistry, Degree in Biotechnological Engineering. Awarded by Foundation for Science and Technology with PhD (SFRH/BD/29060/2006) and Post-Doc (SFRH/BPD/72802/2010) grants. Author of 108 research papers (82% in Q1) in ISI indexed journals, with 1365 citations, (h index: 20, since 2013); 22 proceedings (7 international), 42 oral communications (17 international), 113 poster communications (55 international) and 7 book chapters (5 international). Editorial Board Member of Food Chemistry journal, editor of 5 scientific books. Reviewer of more than 370 scientific papers (mostly from Q1) and 4 scientific books’ proposals. Dr Kaushik Chanda, obtained his PhD in Applied Chemistry from National Chiao Tung University, Taiwan is working as an Assistant Professor in Department of Chemistry, Vellore Institute of Technology Vellore, India. He has published more than 35 international peer reviewed journal articles, 4 review articles, two book chapters, and one US patent along with one book to his credit. His research interest includes the diversity oriented synthesis, anticancer drug design, drug delivery and nanocatalysis. Prof. Dr. Mohamed Fawzy Ramadan Hassanien is a Professor of Biochemistry at Zagazig University (Egypt). Currently he is a Professor at Umm Al-Qura University (KSA). Hassanien obtained his Ph.D. in Food Chemistry from Berlin University of Technology (Germany, 2004). Prof. Hassanien continued his research in ranked universities in different countries such Finland and USA. In 2012, he was invited to be visiting Professor in School of Biomedicine, Far Eastern Federal University in Vladivostok, Russian Federation. Prof. Hassanien published more than 160 articles and reviews in international journals with high IF as well as several books (recent h-index is 29). Dr. László Hazai graduated in faculty of Chemistry at Technical University of Budapest in 1970. He also obtained candidate’s degree in 1981, D.Sc. in 1991 and Ph.D. in 1995. He has a fellowship with Work Committee of Chemistry of Alkaloids and Work Committee of Chemistry of Terpenoids of the Hungarian Academy of Sciences. His research interests are natural organic compounds, alkaloids, nitrogen heterocycles, and anticancer agents. He is currently serving as a head of the Alkaloid Chemical research Group. He has contributed more than 50 publications. Dr. Irwin Rose Alencar De Menezes obtained his Ph.D. degree (2005) in Chemistry from the Federal University of Minas Gerais, Brazil. Dr. De Menezes is currently Laboratory Head of Medicinal Chemistry and Pharmacology Laboratory at Universidade Regional do Cariri, Crato, Brazil. He has experience in the field of Pharmacology, Ethnopharmacology, Clinical and Toxicological Analyzes, Medicinal Chemistry (with an emphasis on Docking), acting mainly on the following subjects: Ethnopharmacology, anti-microbial activity, anti-inflammatory activity, gastroprotection, toxicity of natural products, and natural products activity. Dr. De Menezes, as an author/co-author, has published more than 145 articles in various journals, having over 815 total citations. Gian Maria Pacifici has written 228 articles published on peer-scientific journals, including some book chapters. GMP worked in the Institute Mario Negri, in Milan (Italy), in the Laboratory of Clinical Pharmacology for three years during the period 1971 to 1974. GMP worked for several times at the best Departments of Clinical Pharmacology in the world. In particular, he worked at the Department of Clinical Pharmacology at Hammersmith Hospital, The Royal Postgraduate Medical School in London, (UK), in Oxford (UK), in Liverpool (UK), in Stockholm (Sweden), in Uppsala (Sweden) and at Mayo Clinic (Rochester, Minnesota, USA). Dr. Sammer Yousuf, an Associate Professor of Organic Chemistry at the H. E. J. Research Institute of Chemistry, International Center for Chemical and Biological Sciences, University of Karachi, is among the most promising female scientist of Pakistan, recognized for her original contributions in the field of structural chemistry. She is the author of over 140 research publications in international journals, 5 international patents and 5 chapters in books. 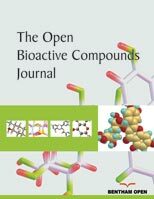 Current research interests includes structure determination of complex organic molecules of natural, synthetic origin and bio-transformed products and structural, physio-chemical and biological properties evaluation of co-crystals by employing single-crystal X-ray diffraction techniques. Dr. Bechan Sharma is presently working as a Professor, Biochemistry Department, Allahabad University, India. His interest includes Molecular Biology, Tropical Diseases and Biochemical Toxicology. With 30 years of teaching / research experience, he has received number of Awards and Honors. He has published over 170 research papers, 4 books and one US patent. He has supervised 15 PhDs and 5 PDFs. He is a Editorial Board /Reviewer member for 130 International journals. He has widely visited to USA and other European labs. He is currently involved in a multinational research project with Koyoto University-Japan on anti HIV-1Drug design and development. Trained initially as a Structural and Synthetic Organic Chemist, Dr. Atia-tul-Wahab got advance training in Structural Biology laboratory of Nobel Laureate, Prof. Dr. Kurt Wuthrich at The Scripps Research Institute, USA. She established the first Structural Biology Laboratory of Pakistan at the PCMD. Her research is focused on the study of structures and dynamics of biologically important proteins in their folded and unfolded state at atomic resolution by using NMR spectroscopy. Moreover, she is also interested in NMR studies of ligand binding to various enzymes and protein by using saturation transfer difference NMR and bioorganic chemistry. Her research projects are collaborative in nature and have linkages with other national and international research groups. Dr. Mohammad Reza Eskandari (Pharm. D., Ph. D.) holds an Associate Professor position in Department of Pharmacology & Toxicology at School of Pharmacy, Zanjan Univrsity of Medical Sciences, Iran. He got his Ph. D. degree in toxicology from Faculty of Pharmacy, Shaheed Beheshti University of Medical Sciences in 2010. He worked as a “visiting researcher” in CECAD research center, Cologne, Germany from 2016-07-01 to 2017-06-31. His fields of interests are: Pharmacological & toxicological evaluation of bioactive natural products, Protective effects of natural product in different diseases and toxicities, and Cellular and molecular mechanisms of xenobiotics-induced hepatotoxicity.